Students and staff are feeling particularly seasonal following a recent trip to Iceland. The Nordic adventure was organised by Discover the World Education, a travel company that provides highly engaging tours designed around the National Curriculum. 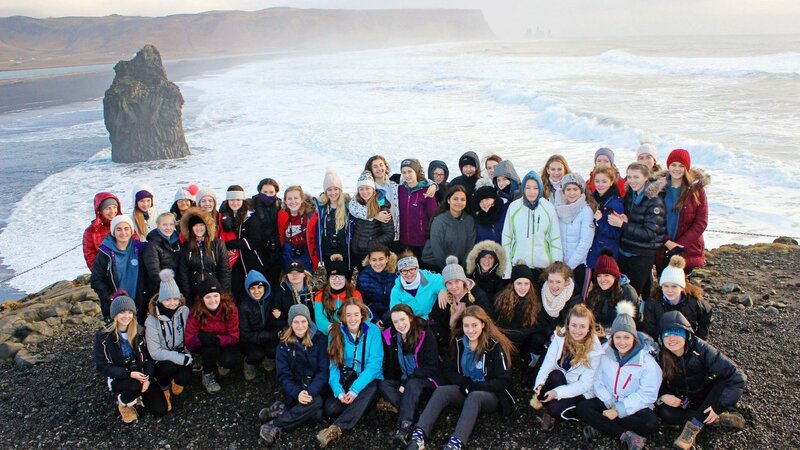 Tour guide Cathy Harlow – a fellow Brit who has written books about Iceland and been living on the stunning island for three decades – was on hand to ensure the group of 49 girls and 5 members of staff (including the school’s Headteacher, Ms Heather Owens) enjoyed the full Icelandic experience. The action-packed itinerary included visits to volcanoes, glaciers, hot springs, geysers, waterfalls and iceberg lakes.